What does health care need from communications solutions? Health care is an incredibly fast-paced industry. Even a few seconds’ hesitation can result in a patient’s death, so medical professionals are almost always strapped for time. Although this is simply the nature of the job, a solid way to improve efficiency is by implementing a robust communications solution. A doctor needs a hefty amount of information to treat a patient, and other health care workers simply need to be able to talk to each other in order to complete their daily tasks. However, this sector has some very specific needs that can’t be solved by just any system. So, what should health care administrators be looking for in a communications solution? Health care is a huge target for hackers, and for good reason. Those working in this industry need a lot of information about the patients they are treating, ranging from financial data to descriptions of potentially embarrassing diseases that could be used to blackmail the person. The storing and transferring of these records through digital means has increased the attack surface, which is why lawmakers enacted the Health Insurance Portability and Accountability Act. HIPAA is designed to protect the privacy rights of patients and ensure anyone involved in the medical process, whether they be doctors or insurance agents, take proper steps to increase security. While keeping patient data out of the hands of hackers is a noble goal in itself, medical facilities also have a selfish reason to avoid a breach. According to a study from IBM, the average cost of a hacked medical record totaled $355. This is well above the overall average of $158, showing just how expensive a breach can be for those working in health care. This is why it’s so important to invest in a secure and compliant communications system. Hackers know how much medical information is worth, and they’re eager to intercept messages containing this data. What’s more, overall security in health care is extremely lacking. 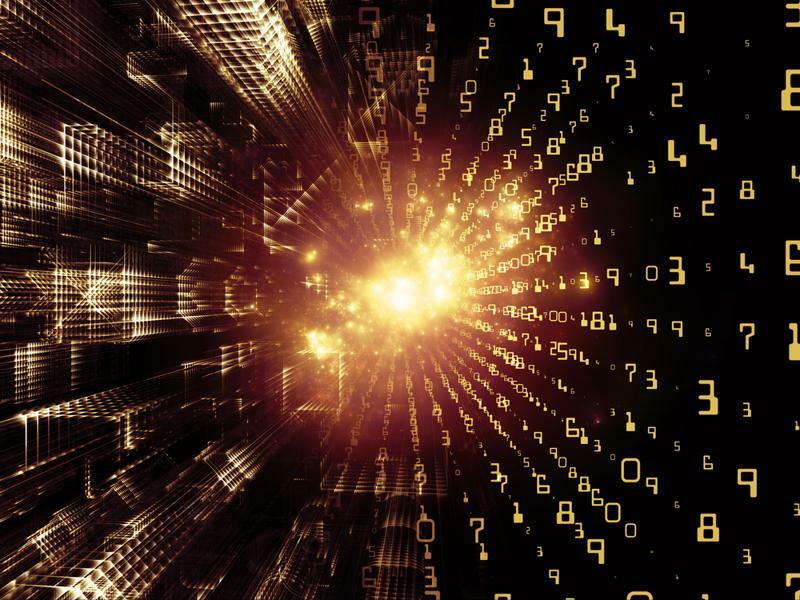 A study from HIMSS Analytics and Symantec found that 80 percent of health care institutions put 6 percent or less of their IT budgets toward security. While this issue needs to be addressed in its own right, allocating some of this spend toward a better communications infrastructure could be a huge step forward. Another major aspect of health care communications that must be addressed is the importance of uptime. Medical workers need to be able to trade information on a regular basis throughout the day, and losing this ability could be incredibly dangerous. A great example of this is the ransomware attack that befell the Hollywood Presbyterian Medical Center in California. This hospital was hit by a piece of malware that basically encrypts all the data stored on a network, which means staff members couldn’t access any patient information. After realizing the extent of the attack, hospital workers attempted to work around the issue by using fax machines and written notes, according to Digital Trends contributor Trevor Mogg. While the hospital did end up getting its systems back online after paying a ransom to the hacker, this situation very clearly shows the fragility of a health care organization’s communications system. A single attack was able to send the facility back to the 1980s, causing an enormous headache for administrators. Of course, hacking isn’t the only way that a communications infrastructure can go offline. Everything from lightning strikes to simple human error can easily have the same effect, and health care officials need to set up a system that can deal with these kinds of threats. Stepping outside the realm of scary possibilities, medical facilities also have to plan for inevitable growth. A business is only doing well if it’s getting bigger, but this means that local systems need to increase as well. Such an ability to grow is called scalability, and it’s incredibly important in all things IT. However, it’s perhaps most relevant in health care communications. As these organizations increase in size, they must hire new people and take on more patients than ever. When this happens, older solutions will start to show their age and won’t be able to handle the increased load. Therefore, a communications infrastructure needs a high level of scalability. Is your current solution’s scalability enough? When it comes to any IT solution, administrators need two things: training and continuous support. Although modern technology is becoming much easier to work as IT literacy increases, the only way to get everything out of a system is to be taught exactly how to use it. On top of that, employees need to know that they have an experienced professional they can call if they run into any issues that they can’t solve themselves. 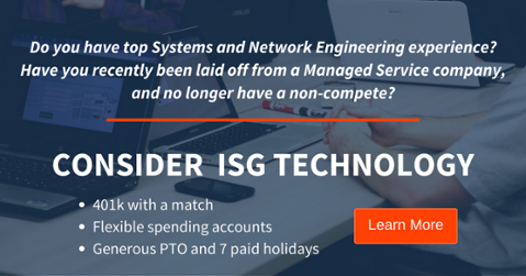 This is why it’s so important to work with an experienced vendor like ISG Technology. We have a history of creating communications solutions for health care organizations, and we know what this industry needs. Our security procedures will help your facility stay HIPAA compliant and your systems online. On top of that, we can help you scale your communications system to meet your specific needs, and we offer training and round-the-clock support. Communicating is incredibly important in health care, and administrators shouldn’t wait until their current solution fails in order to find another. Contact ISG Technology today to see how we can help your employees collaborate better. https://www.isgtech.com/wp-content/uploads/2019/04/smile-guy-phone-talking.jpg 266 702 multipage /wp-content/uploads/2018/02/isg-logo.png multipage2016-12-01 10:50:352016-12-01 10:50:35What does health care need from communications solutions? Click this fun animation to see how ISG supports IT teams with managed services and infrastructure solutions. Our experts help you manage innovation projects such as shared storage, virtualization, disaster recovery, security, mobility and UC collaboration projects.